It all sounds too great to be true, and yet it is. One simple outreach for human connection in the most impossible way led to love. Our favorite part of the story isn’t that Paolina found the message but that she wrote back and they continued corresponding. That’s how true connections are made, through contact. It’s something that we believe in at SendOutCards. 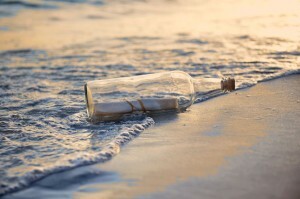 Next time you feel the need to reach out to someone, try a method a little more efficient than a message in a bottle – a heartfelt card. Keep up the correspondence. It’s the perfect way to show love and affection simply and easily. Who knows what may come of it!